Visit of Chinese delegation to Russian Quartz plant in Kyshtym – Company group "Taishi"
Igor Dyachenko, President of Taishi Group visited Russian Quartz mining and processing plant in Kyshtym with a delegation of Chinese business representatives as part of quartz concentrates export with high added value project. Taishi Group is an authorized agent of Russian Quartz in China. Kyshtym quartz has been used in production since 1966. During Soviet era the plant provided more than 60% of the country’s total demand for quartz concentrates, mainly for production of transparent quartz glass and products made from it. 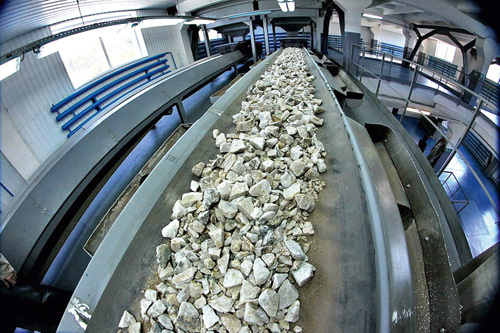 Today Kyshtym mining and processing plant is the only manufacturer of high-purity quartz concentrates in Russia with export activity.